WASHINGTON — The chairman of the Senate’s space subcommittee said May 16 that his committee will hold a hearing next week to hear testimony on possible updates to a 50-year-old treaty that is the cornerstone of international space law. Sen. Ted Cruz (R-Texas) said in an on-stage interview during The Atlantic magazine’s “On the Launchpad” event here that the hearing, scheduled for May 23, would explore modifications to the Outer Space Treaty of 1967 to better enable commercial space activities. One of the witnesses at that hearing, Bigelow Aerospace founder Robert Bigelow, endorsed an update to the Outer Space Treaty to support commercial ventures. He said he was particularly interested in the ability to create a zone of non-interference, or safety buffer, around future bases on the moon or other celestial bodies. The Outer Space Treaty allows any nation that is a party to it to propose amendments, which enter force for those agreeing to them once a majority of the nations who have ratified the treaty do so. As of this year, 105 nations had ratified the Outer Space Treaty, including all major spacefaring nations. 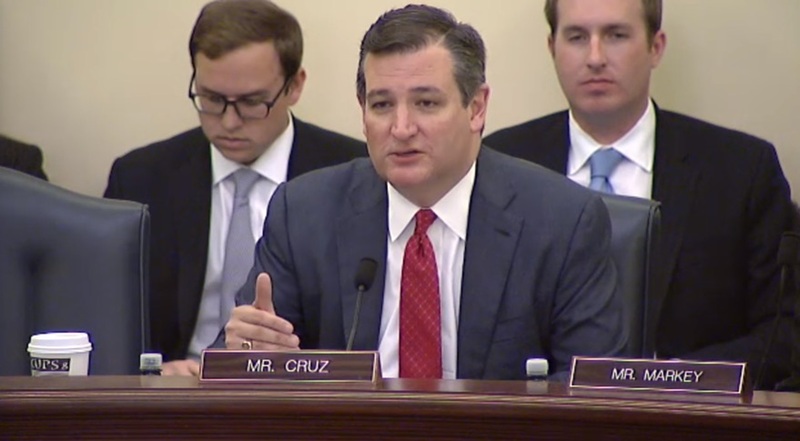 Cruz emphasized his support for the commercial space industry as part of a broader effort to ensure U.S. leadership in space, working in conjunction with NASA-led space exploration efforts. “In a world of scarce resources, it is unlikely that you’re going to see Congress appropriate all the funds we need for space exploration if it was only from taxpayer funds,” he said. “We want to create an environment where there are incentives in the private sector to invest billions and billions of dollars to ensure America’s continued leadership and get leverage so that, for every dollar of taxpayer funding, you have many multiples of that of private funding that is focused on developing space exploration,” he said.